Billy Idol recently expanded his 2018 European tour with the addition of six concert dates. The rocker will launch the 5-week run at Austria’s Nova Rock Festival on June 16, alongside newly-announced shows in Brussels, BE (Jun 18), Weert, NL’s Bospop Festival (Jul 15), Furuvik, SE (Jul 25), Stockholm, SE (Jul 26) and Finland’s Juopio Rockcock festival (Jul 28). Idol recently appeared on the Season 13 finale of NBC’s reality singing competition The Voice, where he performed his 1982 classic, “White Wedding”, with the series eventual winner Chloe Kohanski. The single from the rocker’s self-titled album debut peaked at No. 36 on the US Billboard Hot 100 while earning Top 10 status in Canada and the UK. 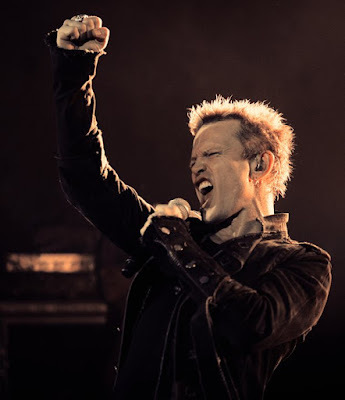 Last fall, the singer released newly-remastered vinyl reissues of the solo debut, 1983’s “Rebel Yell”, and the 2008 collection, “Idolize Yourself: The Very Best of Billy Idol”, as part of his reissues campaign.